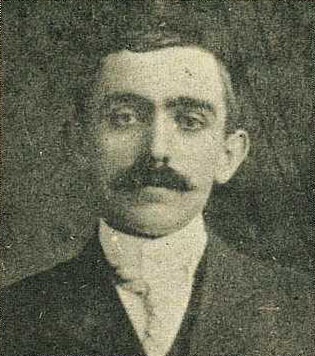 Friedrick Wohnsiedler, who started the winery in 1921. 1968: Montana Wines brought through to Gisborne some thousands of rooted grapevine cuttings for the first plantings. 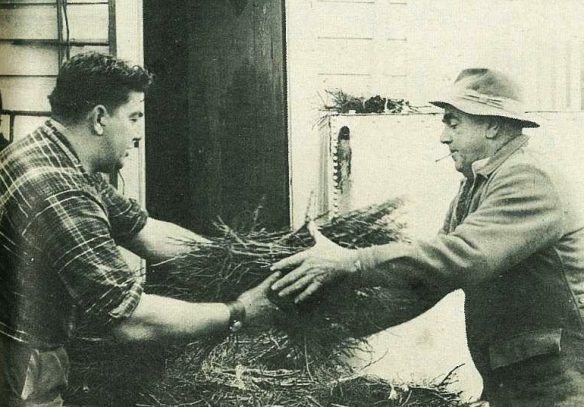 Frank Viskvich, manager of the firm’s vineyards at Titirangi, hands over a bundle of plants to Mr A. J. Williams. 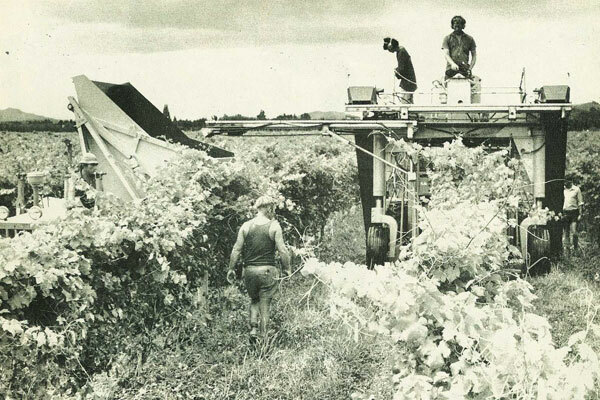 1974: Montana Wines have brought the very latest in mechanical grape pickers into Gisborne. The mechanical picker moves over the row with the tractor and collecting bin moving at the same pace in the next row. 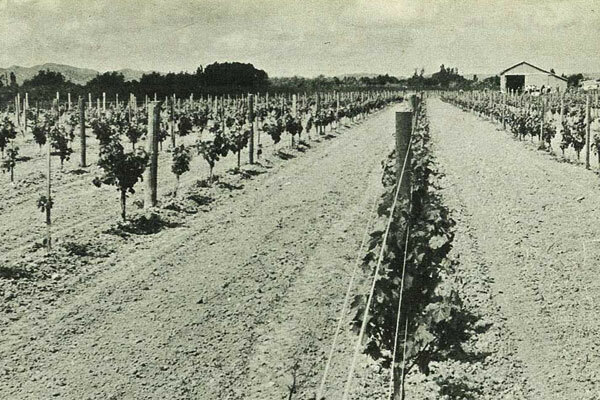 1968: A field of young vines makes excellent progress on the rich soil at Matawhero. 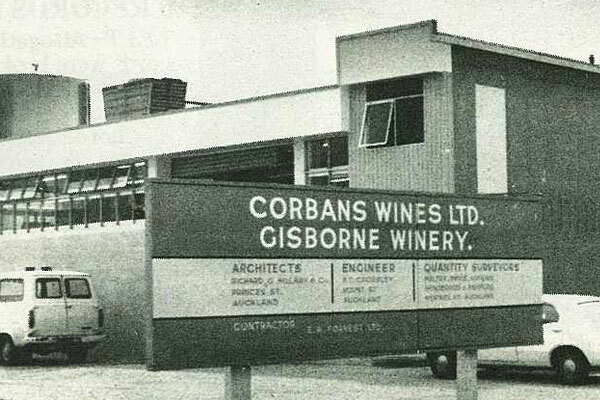 1972: Corban Wines Ltd opened their Gisborne Winery. 1972: Corbans Wines Ltd. 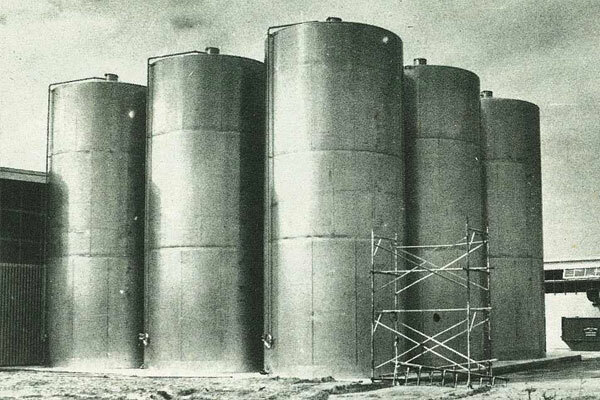 Some of the giant holding tanks. 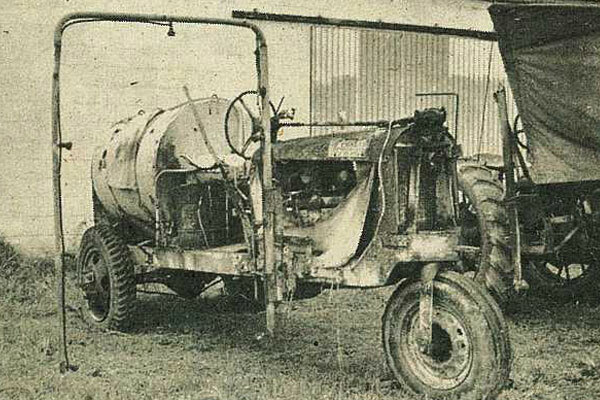 1974: A tractor mounted sprayer. 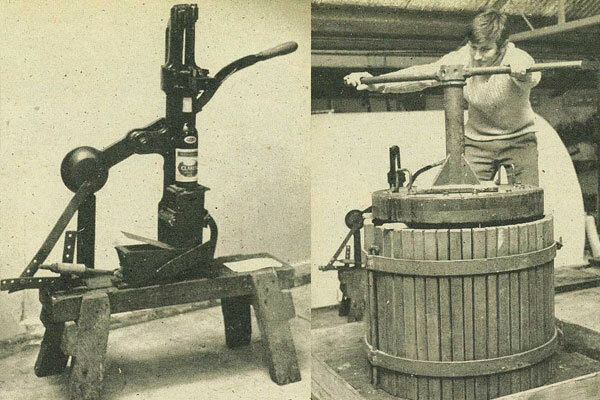 1974 (Wine Museum) LEFT - The hand corking machine wherein each bottle of wine was individually corked. RIGHT - The Ormond Winery manager of Waihirere Wines, Mr Roger McLernon, with one of the first wine presses used by the Wohnsiedler family.